18 April 2014: The Processione dei Misteri di Trapani or simply the Misteri di Trapani (in English the Procession of the Mysteries of Trapani or the Mysteries of Trapani) is a day long passion procession featuring twenty floats of lifelike wood, canvas and glue sculptures of individual scenes of the events of the Passion, a passion play at the centre and the culmination of the Holy Week in Trapani. 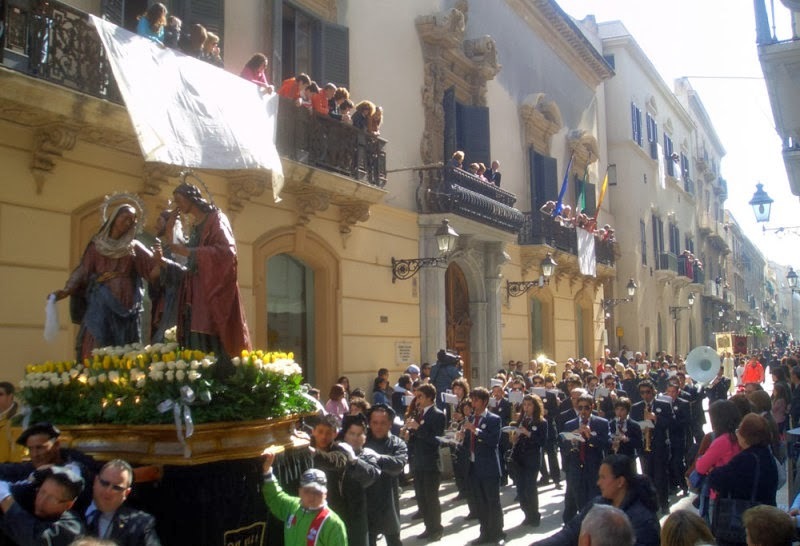 The Misteri are amongst the oldest continuously running religious events in Europe, having been played every Good Friday since before the Easter of 1612, and running for at least 16 continuous hours, but occasionally well beyond the 24 hours, are the longest religious festival in Sicily and in Italy. (and most likely it will be under our windows).